Working on my main menu and had some problems with buttons. I want them to be capatalized, but if I make CExButtons and add a Labeltext they only play the "click" sound and don't do anything. Do main menu buttons need to be CExImageButtons and is there a way to change what they say anyways? Thanks, completely forgot about gamemenu.res.. When I use the smallcross it isn't perfectly centered. Anyone know what I would have to change the values to? I tried to edit the class images in the item screen, but the buttons are off the actual images. Changing the ypos values of the class elements didn't change anything. Is there any other value I can edit? Does anyone know if the ammo count number in the healing target id as medic can be moved? I've checked targetid.res, clientscheme and hudlayout and there seems to be nothing related to it. it would be silly to remove it in my opinion, but here is the biggest reason y u shouldnt, the ammo and killstreak are both apart of the playerdata, or targetdata, i forgot, so if u remove that, then things like ubercharge on a med's target id wont show up which is kind of important. do what ever u want tho. FireStarwDoes anyone know if the ammo count number in the healing target id as medic can be moved? Mr_Harvardso if u remove that, then things like ubercharge on a med's target id wont show up which is kind of important. That's not true. You can remove AmmoIcon and KillstreakIcon without a problem. I figured out how to change the xpos of the ammo number,in TargetDataLabel add "textinsetx" and set its value positive to move it right and negative to move it left. Edit: and this also makes engineer building text clipped, I wound up just doing a different fix altogether. No highlights and no past vods to even look at what he's using. Id like to make the scoreboard taller so it can show 6 players. Also replace healing done with damage done. Mr_Harvardso if u remove that, then things like ubercharge on a med's target id wont show up which is kind of important. That's not true. You can remove AmmoIcon and KillstreakIcon without a problem. HrblsId like to make the scoreboard taller so it can show 6 players. Also replace healing done with damage done. move the ypos of redplayerlist and blueplayerlist in scoreboard.res, and then increase the tall value of both by 10 or so. [quote=Hrbls]Id like to make the scoreboard taller so it can show 6 players. Also replace healing done with damage done. can someone tell me how do i fix the crosshair outline? s0rexcan someone tell me how do i fix the crosshair outline? That's a rayshud bug, I noticed it as well. 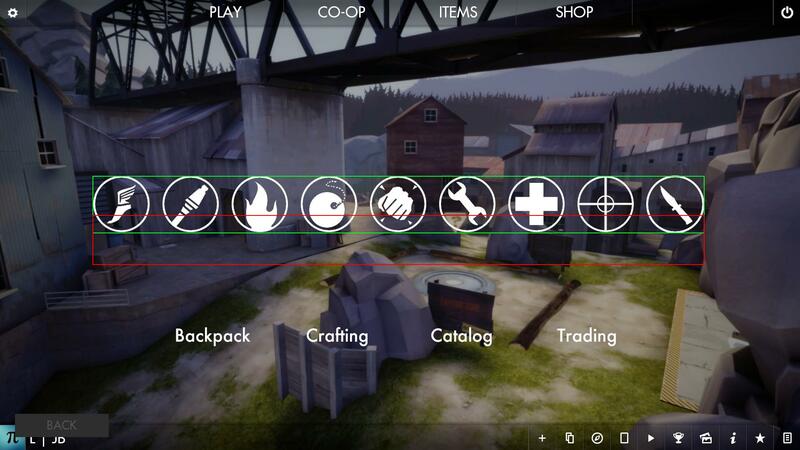 [quote=s0rex]can someone tell me how do i fix the crosshair outline? That's a rayshud bug, I noticed it [url=http://rebelconquer.net/thread/981/rayshud/?page=21#629]as well[/url]. How to change size of health and ammo? CoolMaxSUpremeHow to change size of health and ammo? HudAmmoWeapons and HudPlayerHealth and also HudMedicCharge change the fonts with a bigger one. Does anyone know what the "cs" positioning do? Since the halloween update i opened the files and it has like for example "xpos-cs20". Don't really understand the meaning of it. I'm looking for info on hud favorites buttons. Has this already been discussed in this thread? Maybe some in another thread? Google didn't give me much, just a hud or two that already had it I'm looking to add it to my hud. Maybe some code to get me started? Any and all help is appreciated. I want The advanced spec hud of hudas iscariote in my rayshud. Can Anyone tell me how to do this? PepziI want The advanced spec hud of hudas iscariote in my rayshud. Can Anyone tell me how to do this? dokidokipanicI'm looking for info on hud favorites buttons. Has this already been discussed in this thread? Maybe some in another thread? Google didn't give me much, just a hud or two that already had it I'm looking to add it to my hud. Maybe some code to get me started? Any and all help is appreciated. I assume you mean a Home Server button that auto connects you to a server? You can just add the button in /resource/GameMenu.res and makes its command "engine c" replacing "c" with whatever command you want to run. For example, have "alias home connect :27015" in your autoexec and then the button be "engine home" would make you connect to a local server at port 27015 when you press it. Hey does anyone know how to add a marked for death icon ? Amp-tHey does anyone know how to add a marked for death icon ?